Mark was never one to miss a photo opportunity, even if he was driving someone else's car. The clubs annual Mark Goddard Photography Award is now open. Each year the club awards a perpetual trophy for the best photo taken by a club member at any club event during the year . 1] You must be a financial member of the club. 2] You can only enter once. 3] To make it fair for all entrants we ask that any post photo editing be kept to an absolute minimum [Photoshop etc.] We are looking for the photo that best captures the club spirit not the best technical photo. The judges will make the final decison. 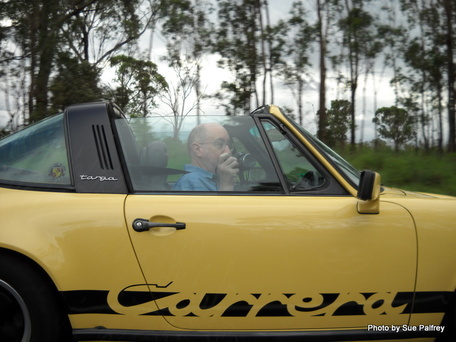 5] The photo must have been taken at a PCNSW club event. Call me on 96532366 if you need more information.